It’s getting to be that time of year again. With the summer quickly approaching, we’re reminded of our love for sunshine, nature, and outdoor gatherings with our friends and family. Of course restaurants and beaches are fantastic places to get together with loved ones, but dinner prices at restaurants seem to have sky rocketed and beach entry fees add up quickly, so why not think about entertaining at home? But where would you entertain? Well, for those warm summer months, the garden is the idea place for entertaining. You get the fresh air, greenery, and all the comforts of being at home. Whether you’re currently designing your ideal garden or just want some new tips, homify is always on standby to help you create exactly what you’re looking for. 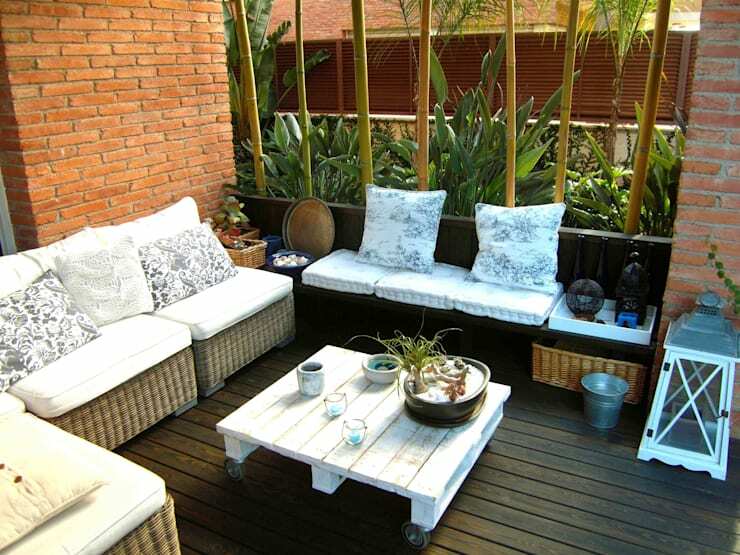 Follow these tips and you’ll have a garden that’s not only a beautiful and relaxing place to enjoy nature, but you’ll also have the perfect outdoor area for entertaining. Before we decide on which plants we'll use or what decor we want, we need to first consider the seating arrangement. It should come as no surprise that when thinking about entertaining, you'll need places to sit down, and designing seating arrangements first will allow for easier placement of plant life, tables, and the barbecue, because you'll already have your relaxation space set up. When thinking of outdoor furniture, consider a patio set. Patio sets typically come with a table, four to six chairs, and a parasol, so getting one of these can strike three things off of your To-Buy list immediately. Patio sets are also specifically designed for outdoor use and tend to be made from weather-resistant materials such as aluminium, which doesn't rust. Once you have your outdoor furniture, play around with the placement. You might want to consider a circle-style layout so that your guests all have a good view of each other while talking. You also want to consider choosing the seating placement where you can get the best view of the garden or landscape. For additional seating, you might also consider a brightly painted bench as a colour contrast to the plants that surround it. When you're creating a garden, especially a garden designed for entertaining there should always be a table of some sort. As human beings, we are very social creatures, and a space around which to congregate is just the thing we like. 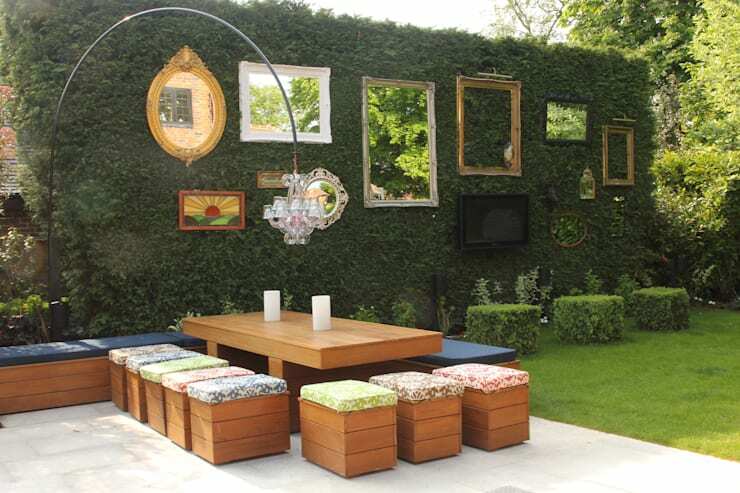 With a table, you can really make the most out of your garden by offering the perfect gathering place. Your guests have the opportunity to look at each other face to face, you can place your drinks down right in front of them, and, what's probably the most important, you can eat here. As we all know, humans gather together most often when there's food involved, so this is an important element that just cannot be overlooked. Once you've decided on the perfect table and chair setup for entertaining, you can finally start thinking about the natural element – the plant life. When designing any garden, naturally the first thing that comes to mind are the plants. After all, a garden is defined by its vegetation. But as we've mentioned, once you've set up the perfect seating and table space, you can then start decorating with plants. The plants you decide on completely depend on personal preference – there's no bad choice you could make! What we suggest, however, are brightly coloured, fresh smelling flowers like lilac, rose, or lilies. You might also want to consider just plain shrubbery scattered about your garden, as we see in this image. Patches of green here and there allow for that perfect garden feel, while also allowing you space to decorate with other items. Place your plants around your seating area for a nice, even aesthetic look, and so your guests have something beautiful to look at while enjoying their favourite meal with great company. Now that you have your seating, the perfect table setup, and a beautiful plant arrangement, it's time to think about how you're going to feed all those guests. And what says summer more than barbecue! Having an outdoor grill is ideal for entertaining many guests, or for just your immediate family on a quiet night in. 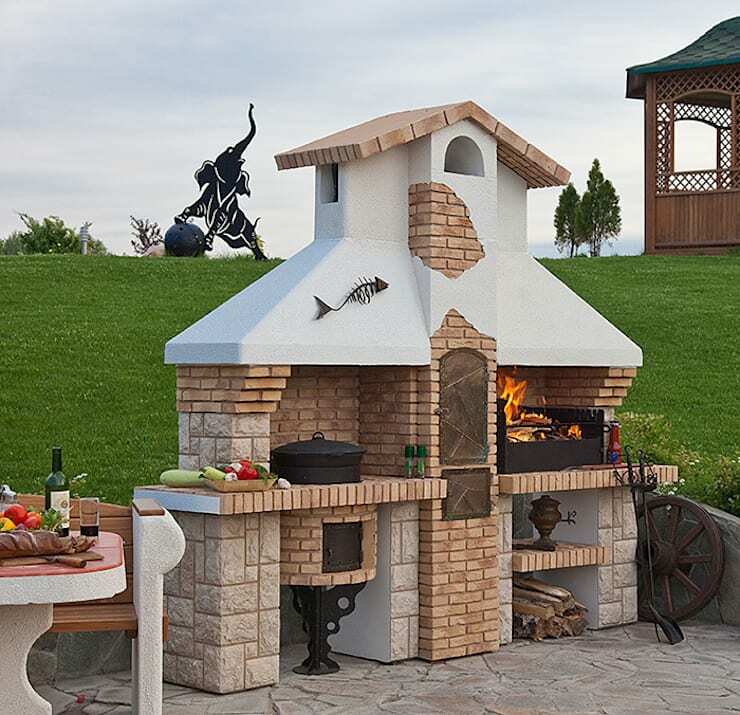 You could always opt for the traditional steal barbecue, but if you really want to impress your guests and bring a little extra flair to your garden, think about something a little more eye catching, like the gorgeous barbecue grill in this image. This multipurpose grill serves as a preparation station, as well as a quasi stove. You also want to position your barbecue close to the seating area and the house for your cooking and preparing convenience. Want that little something extra that will keeps your friends coming back? Then you should definitely build your very own garden bar, where you'll entertain in comfort and style. It's like having your own mini pub! Outdoor garden bars built using top quality timber, like we see here, are chic and will last for many years. If you live in a particularly hot and humid climate, you'll definitely want to incorporate a shading option to your bar. That way, your guests can enjoy a nice cool drink and take a break from the heat of the sun. Don't have the means to build your own bar from scratch? Not a problem! Turning an old, unused shed into a bar will help you save on time, and let's not forget about money. 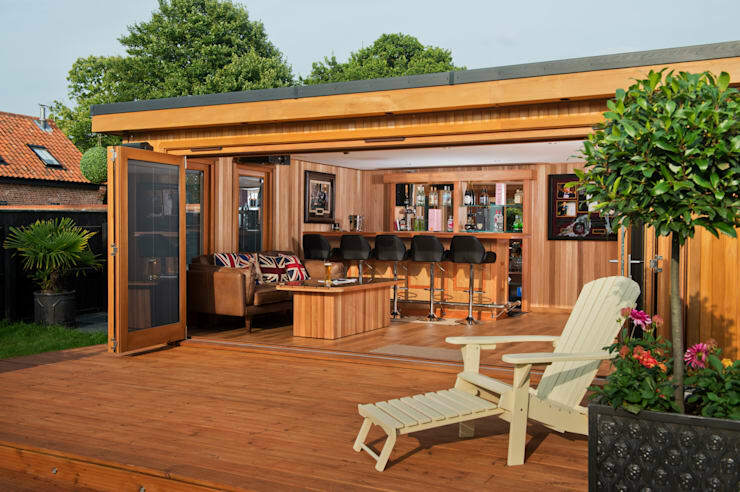 Add some additional seating and a big parasol outside the shed, and you'll have yourself a quaint little bar in no time at all, and you'll still be the envy of all of your friends. 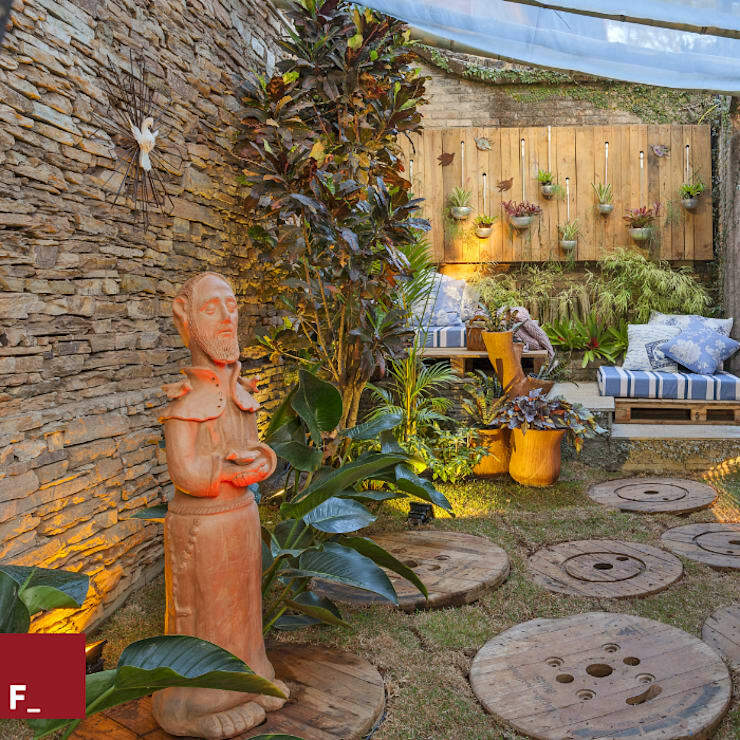 Since we already talked about the types of furniture you can add to your garden, we should now consider some decoration items to bring your garden experience to the next level. Let's think about some rather inexpensive decoration items. Rocks and stones are natural, so you don't even have to spend any money. They're everywhere, so finding them is a breeze, and they add beautiful elements to your garden but require little or no maintenance. If you have old slabs of wood lying around, round them off to create a nice path to and from your seating area. Garden statues are also an inexpensive decoration item. Buddha's tend to be the most popular style, but you can go off the beaten trail and pick something rather eclectic, like we see here. 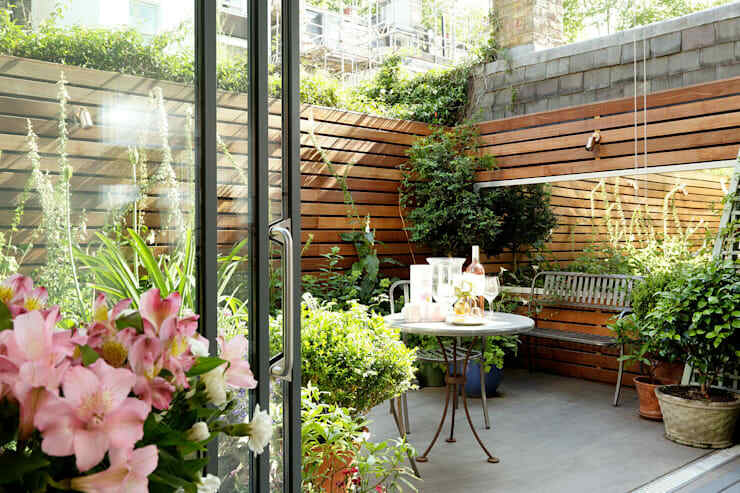 And if you're home is a little too close to your neighbours, you can achieve a sense of privacy in any urban space by surrounding your garden with a tall wooden fence or a stone wall.